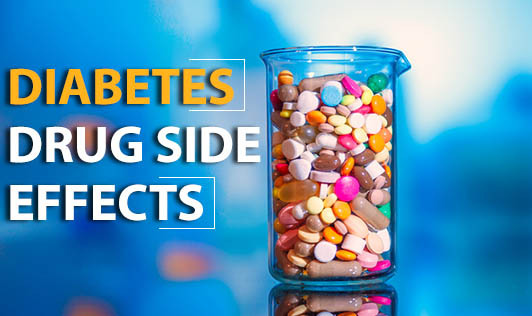 Diabetes drugs also come with side effects. Rosiglitazone significantly increases risk for heart attacks and therefore carries an “unfavourable benefit to risk ratio.” Metformin, another commonly prescribed diabetes drug, depletes levels of vitamin B12, which cause levels of a harmful substance called homocysteine to increase. Raised homocysteine is associated with increased risk for strokes, cardiovascular disease, osteoporosis, depression and age-related memory loss. Following a low GL diet can help to regulate out-of-control blood sugar levels. And supplementing the mineral chromium – at doses of 600mcg a day (most supplements provide 200mcg, so that means three a day) – is more effective at stabilising blood sugar than metformin. Cinnamon also has benefits and supplements combining high dose chromium, with cinnamon, and squeezing lime juice on lentils, pulses and salads to reduce GL of foods, are my favourite.